Subscribe SMS Alerts: Get astrology updates on your mobile phone for free. I am Punit Pandey and I write this blog. People call me "Hi-Tech Astrologer" or "Digital Age Astrologer" because of my extensive usage of technology in astrology. I strongly believe that accuracy in astrological predictions can only be achieved if we make proper use of technology in astrology. My interest in astrology started around two decades back when I picked up few astrology books from a small bookshop in my village. Though later on I realized that my inclination towards Jyotish, Ayurveda and Tantra etc. was very much natural as I am a Bhrigu (remember famous Bhrigu Samhita?) vamshiya Brahmin and my forefathers were also astrologers. I studied various systems of astrology including Parashari, Jaimini, Tajik, Western, Krishnamurthi and Lal Kitab, and found all these systems wonderful. I worked as 'Associate Editor' for 'Vedic Astrology and Spirituality', a monthly magazine published from NJ, U.S.A. I am 'Jyotish Visharad', though personally I don't see these certifications any valuable. 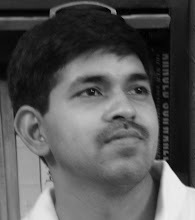 I have also written extensively for Kadambini magazine, Dainik Jagran news paper, and few others. I have also studied astronomy and mathematical astrology and that is the reason I contributed many astrology software and websites. The software like 'Mobile Kundli' - the first detailed astrology software for Palmtop (pocket) computers, AstroSMS – first SMS based astrology software, AstroWAP – the first astrology software for WAP & GPRS Mobile phones etc. I am also behind AstroSage.com, the Web 2.0 astrology software & among the most popular Vedic astrology websites in the world. I am also behind some of the biggest astrology communities on Internet like KP Astrology & Lal Kitab communities. This is a personal weblog. The opinions expressed here represent my own and not those of my employer or AstroCAMP. © Copyright 2009 Punit Pandey, All rights reserved.